Masouri. 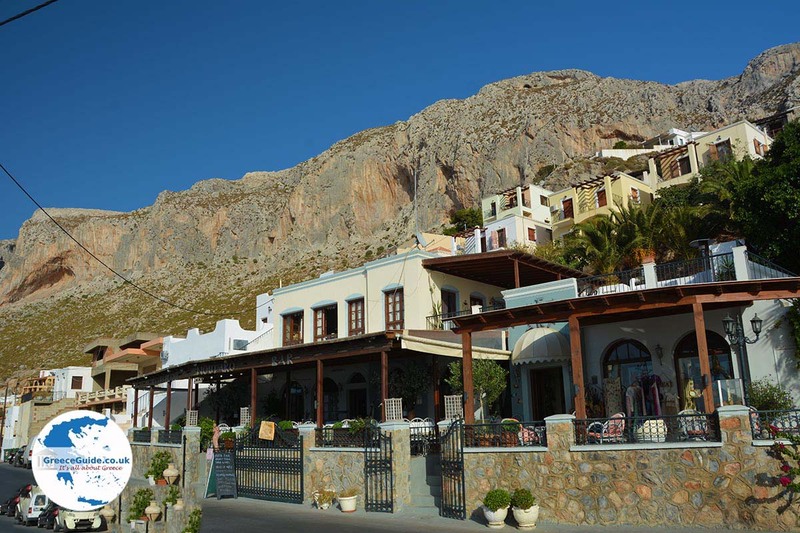 Masouri is located 10 km (6 mi) northwest of Pothia (Kalymnos town), the capital of the Greek island Kalymnos. 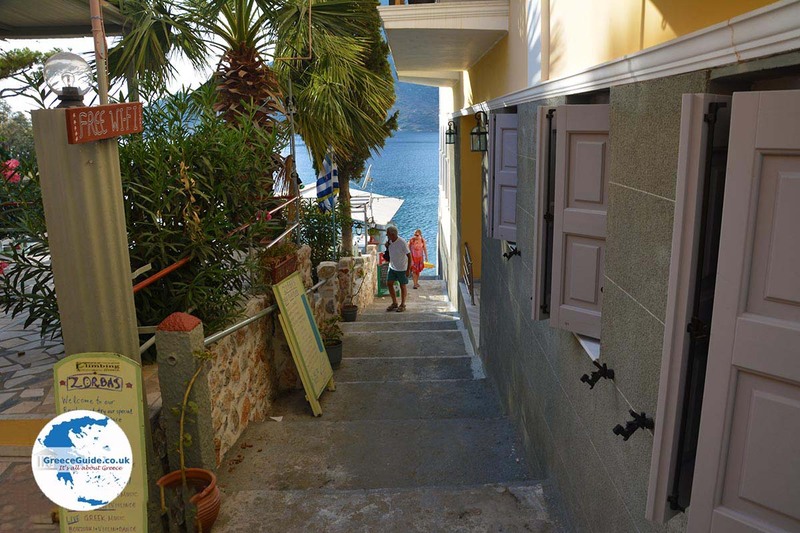 It is the most crowded and cosmopolitan resort on the island. 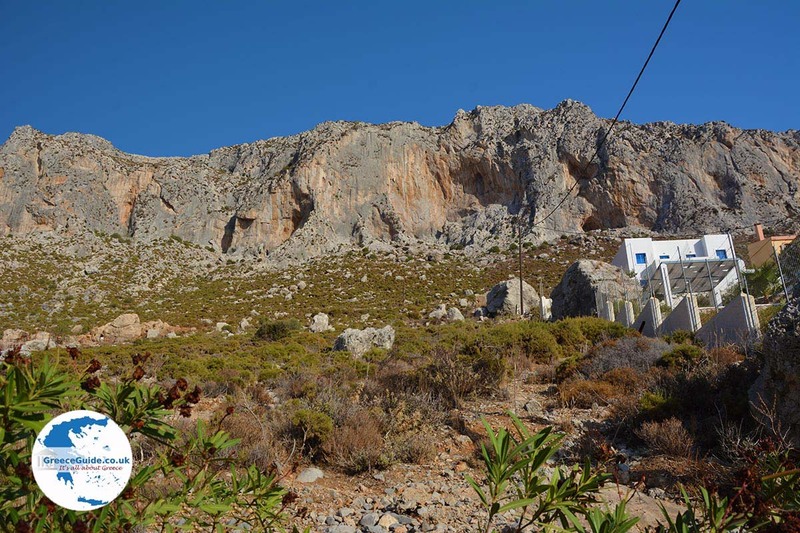 Masouri lies on the slopes of a mountain that ends up on the beach. The sandy pebble beach is well organized, there are umbrellas and sun beds available. 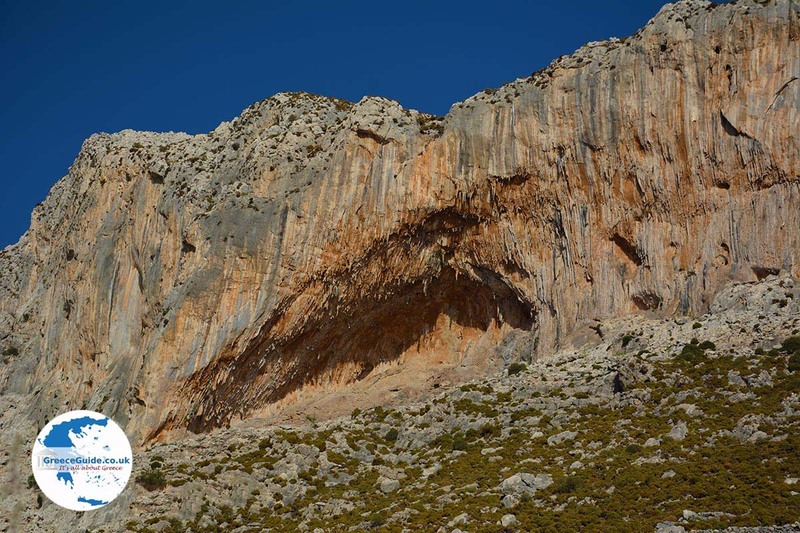 In the village are among others restaurants, cafes, shops, car rental companies, bakers and climbing schools for mountain enthusiasts. 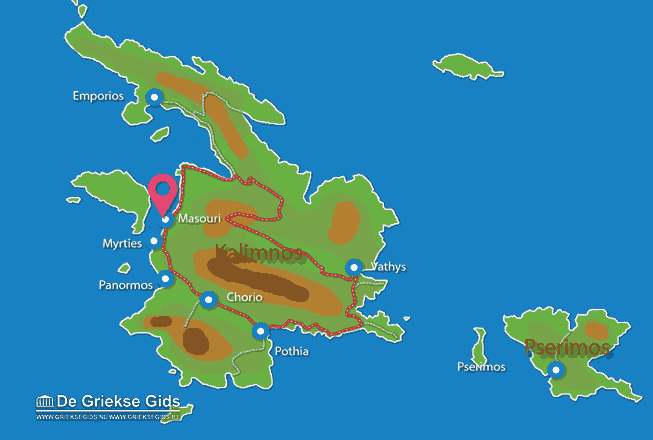 Exactly opposite of Masouri, less than a thousand meters, is the islet Telendos located. The view across the strait between Kalymnos and Telendos is breathtaking. 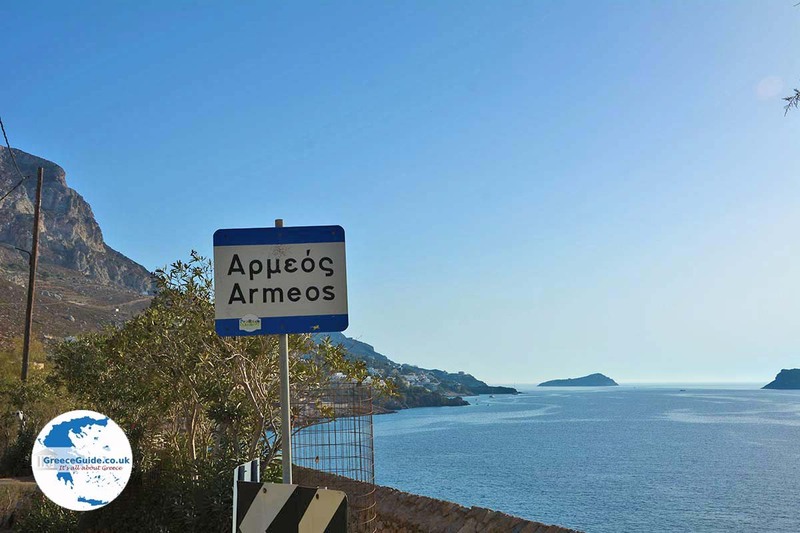 Other popular beaches near Masouri are the beaches of Myrties and Panormos (Linaria and Kantouni). 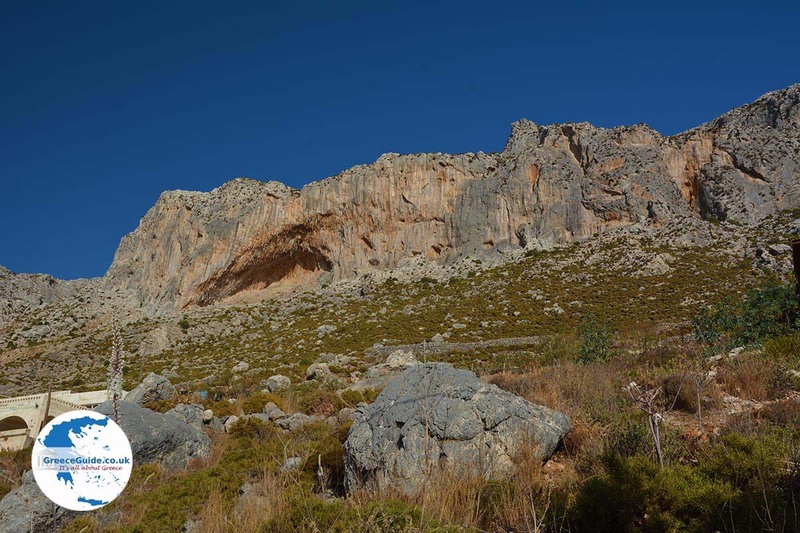 Here in Masouri, will climbers feel at home because just behind the village, are high cliffs where the climbers can practice their favorite sport. 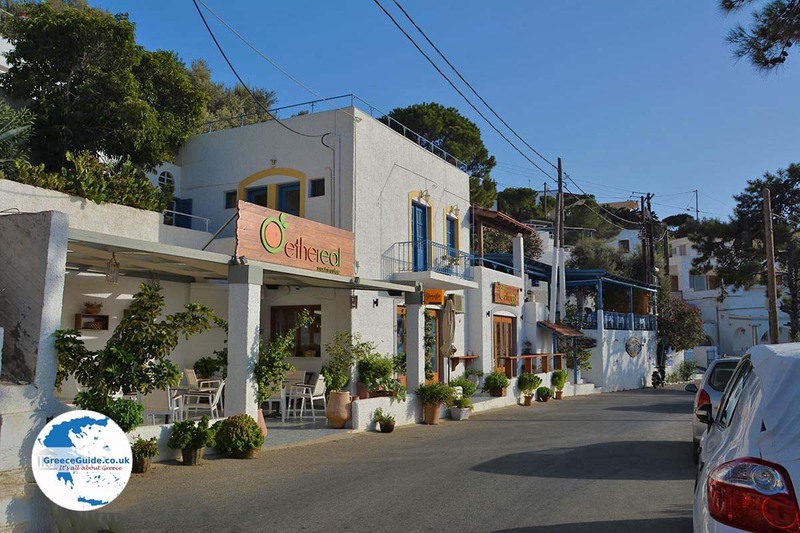 Throughout the area, many hotels are located, also to the north near the village of Armeos which is located at short distance. 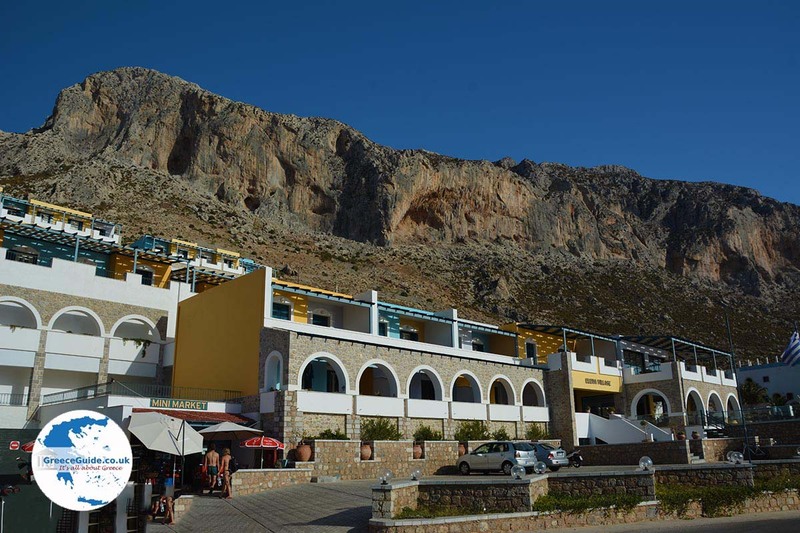 Many of these hotels are also open in winter, because climbing in Greece knows no seasons.